Standing just 120m above sea level, Vinegar Hill in County Wexford commands extensive views over the surrounding countryside and the town of Enniscorthy. It is the highest point of a ridge line that runs in a north-west/south-east direction above the River Slaney. Near the summit, the ruins of a windmill are a familiar landmark on the northern approach to the town. What makes it special, described in this guide. 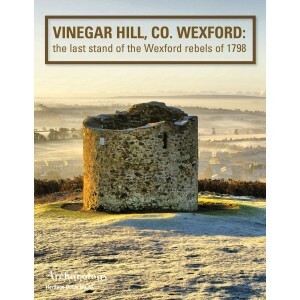 is the place it holds in Irish history, folklore and song as the scene of the most famous battle of the 1798 Rebellion.